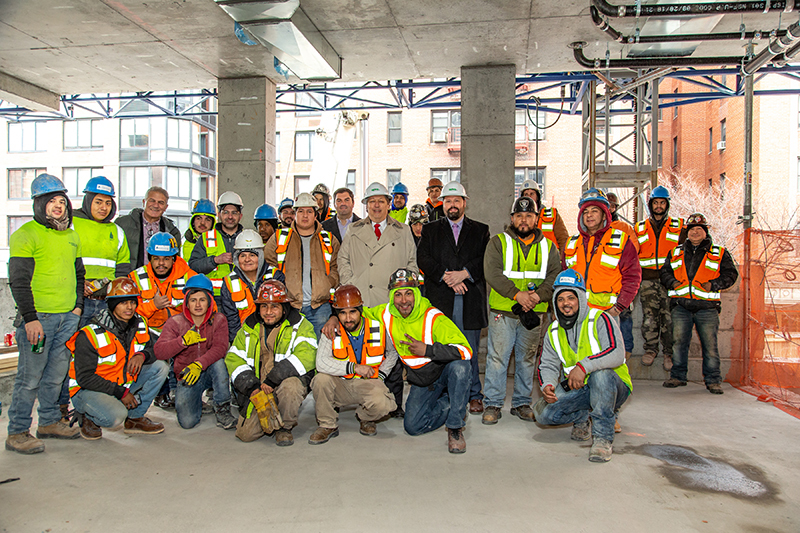 Dahlia developers/investors with construction workers. 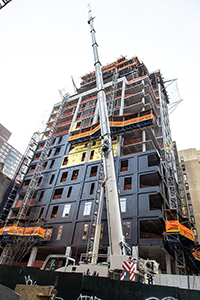 Manhattan, NY According to United Management and Reuveni Real Estate, Dahlia, a 20-story residential building on the Upper West Side, has officially “topped off” construction. 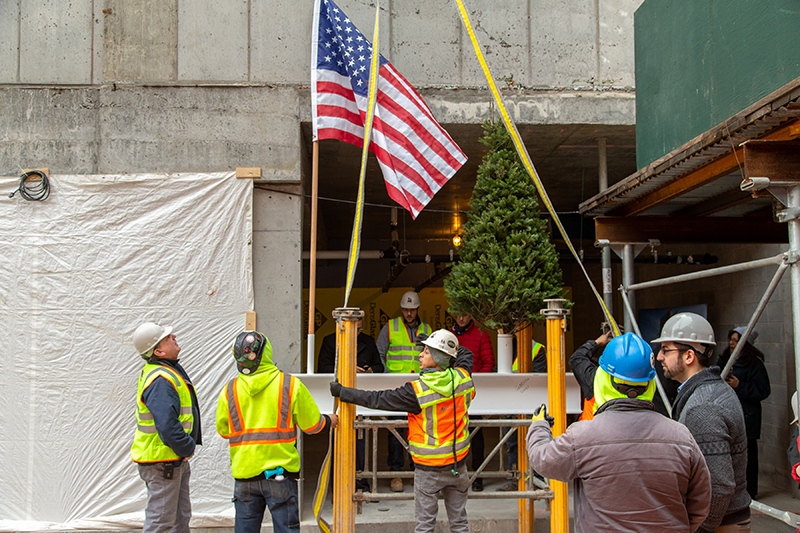 A catered recognition ceremony, held at the building located at 212 West 95th St. between Broadway and Amsterdam Ave., attracted guests who toured the construction site, viewed project renderings and signed the last beam that was then hoisted and placed at the top of the building. 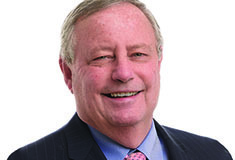 The project is being developed by United Management in conjuction with Certes Partners. CetraRuddy is the design architect and interior designer, RKTB is the architect of record and JRM is the construction manager of the project. With interiors designed by CetraRuddy Architecture, Dahlia will contain 38 two to four-bedroom condos including two penthouses and select homes with private outdoor spaces. The residences will have open layouts and up to 10-ft. ceilings. Amenities will include bike storage, private storage for purchase, limited private parking for purchase, lounge, music room, children’s playspace, a 5,100 s/f elevated outdoor park with children’s playground, pet spa, game room, fitness room, yoga studio, and 24-hour attended lobby.